Your shop is the best! Can you e-mail me when you get new things? I really enjoyed stopping by. OH my, I just love it all!!!! I keep going back to see if I missed anything... Thanks for inviting me!!!! Love all your homemade items! 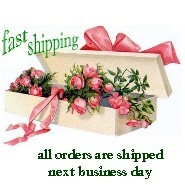 Hi Debbi, I love your web page, lot's of beautiful item's to look at. I can smell the flowers. I just found your site and I just LOVE LOVE everything in it. Can't wait to begin shopping. I to am a collector of vintage fabrics, laces and linens. I am so happy to have stumbled upon your online shop. I live in a small "Motherlode" town with limited shopping & lots of winter snow! Your shop is a blessing! I love your shop, I have this type of items in my home. Debbi, I am just thrilled about your new site. It's just lovely! What a pretty site! I just love your hand made items. I will check back often!